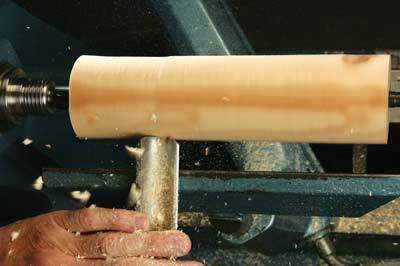 The spindle roughing gouge is an essential tool in the woodturner's armoury. 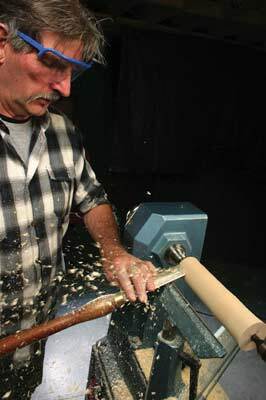 It is essential for the woodturner who turns wood with the grain running parallel to the lathe's axis, and that is just about every woodturner. It can be used for spindles, from pens to four-poster beds, boxes and goblets, end grain bowls, and even natural edged end grain bowls. When you are thinking of making any of these items, the spindle roughing could be the first tool that you use on the piece. It is ideal for cutting from square to round, and for roughing branches to smooth cylinders - which is the initial preparation for the more detailed work to follow. 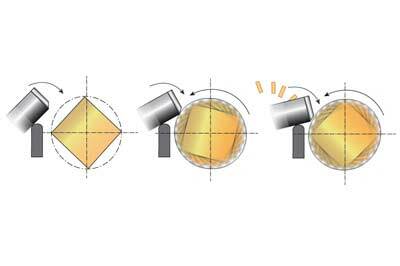 As the first tool, what we are looking for is something that will rough down 75mm (3in) square stock to round, and possibly 100mm (4in) square stock to round. 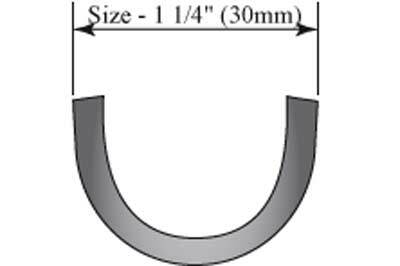 It must also be able to rough down branches up to 100mm (4in) in diameter. And it should be able to do all of these things safely and easily. The spindle roughing gouge is definitely the tool for the job. The first thing to mention about the spindle roughing gouge is the name. 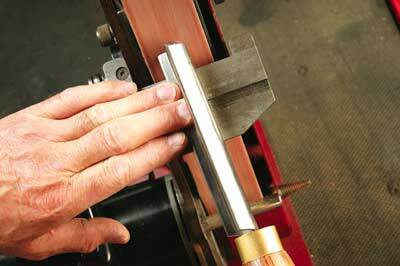 I deliberately call it a shallow fluted gouge, as that describes precisely what it is and what it is meant to do. 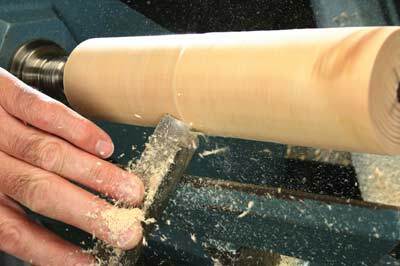 Spindle describes the grain direction of the wood it is supposed to be used on. Roughing - that's what it does best - and gouge describes the shape of the tool. It should never be used on cross grain work as it can be dangerous. Okay, there are some turners who get away with it on cross grain work for a very limited number of cuts, but the risk is high and there are other tools which will do that job much better. 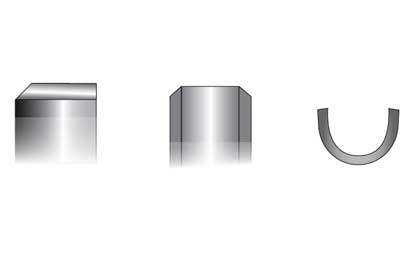 Structurally the spindle roughing gouge is forged into the deep curved shape from a flat bar and there is a tang to take the handle. The tang is the weakest part of the tool. 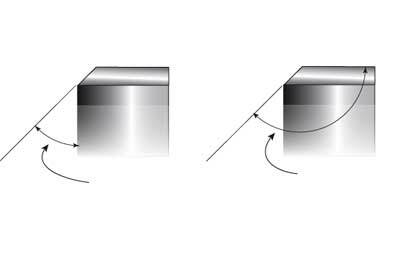 The spindle roughing gouge is sharpened with a 45 degree bevel, square across the end which gives it a 135 degree profile angle. The 45 degree bevel makes for a strong cutting edge, and the square grind gives a 'long' cutting edge. 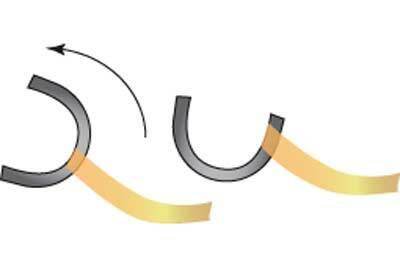 This shape makes it ideal for the function of the spindle roughing gouge, which is to remove the outer surface of the wood - be it a square section or a branch with bark on - and brings it to a round cylinder in preparation for further detail work. But it is very limited in terms of how much detail it can produce, and this is where you may choose to opt for a different tool. To match the requirements the tool has to be a 32mm (1 1/4in) spindle roughing gouge - this size of tool will allow you to do the job both safely and easily. It also needs a handle to match; I use a 430mm (17in) long handle, which I think is essential for the task in hand. For example, the spindle roughing gouge that I am currently using is a Crown Hand Tools HSS tool, which is pictured at the top of this page. 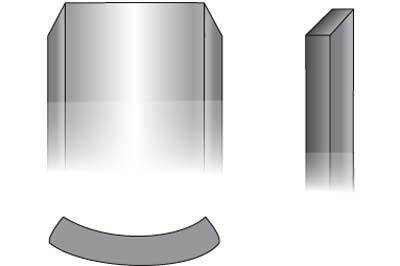 The spindle roughing gouge performs two basic cuts. 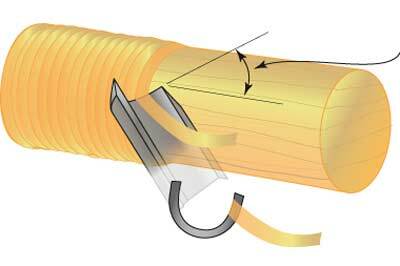 The first of these cuts removes the outer material quickly, and brings it down to a cylinder. This it does with great efficiency, but the surface finish can be rough as the cut is across the grain. The second of these cuts allows you to refine the surface finish, and you can also add some simple shape to the form, as required. The finish achieved is good because the cut is made along the grain. The type of cut you choose depends on the project you are making, however. In this sense it is a very versatile and efficient tool for a number of different cutting purposes. 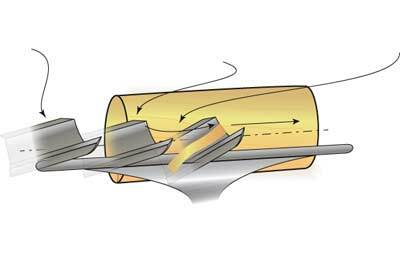 The spindle roughing gouge is presented to the wood in a 'peeling' presentation where the bevel makes contact with the wood just below the cutting edge. The entry to the wood is with a 'supported entry' i.e. the bevel is the first part of the tool to touch the wood. Here, the cutting edge is presented to the wood in a 'sheer peeling' attitude (which is roughly 30 degrees) where the bevel makes contact with the wood 'behind' the cutting edge of the tool. The entry to the wood is with a 'supported entry' i.e. the heel of the bevel is the first part to touch the workpiece. Again, as one part of the edge becomes blunt, twist the tool to cut on another part of the edge. 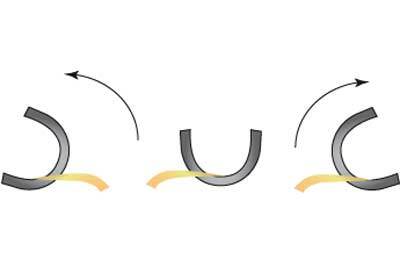 The result will be a smooth cylinder. I have preset angles on my grinders, so this makes sharpening quick, easy and repeatable. 4. 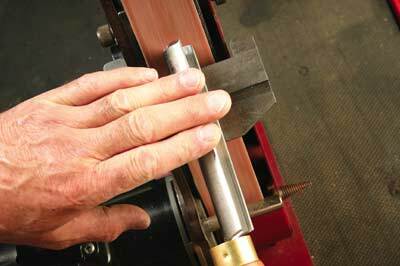 Push the tool onto the surface and roll it right round so that the whole edge is sharpened. You can then roll it back to the start of the cut and then repeat as you see necessary. In my experience, I have found that two or three times is enough. 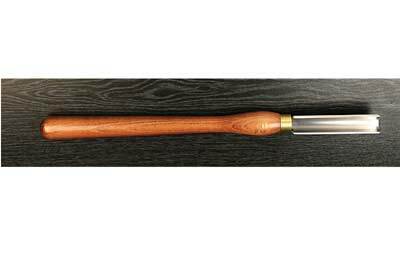 The stock of this tool is wide and shallow, which lends itself to being sharpened in a number of different ways for a variety of different purposes. It can be sharpened with a 45 degree bevel and square across the end - or it can be slightly domed, depending on the task it will be used for - then it is a form of spindle roughing gouge. The part of the tool that is ground away during the sharpening process to achieve a new, sharp cutting edge.